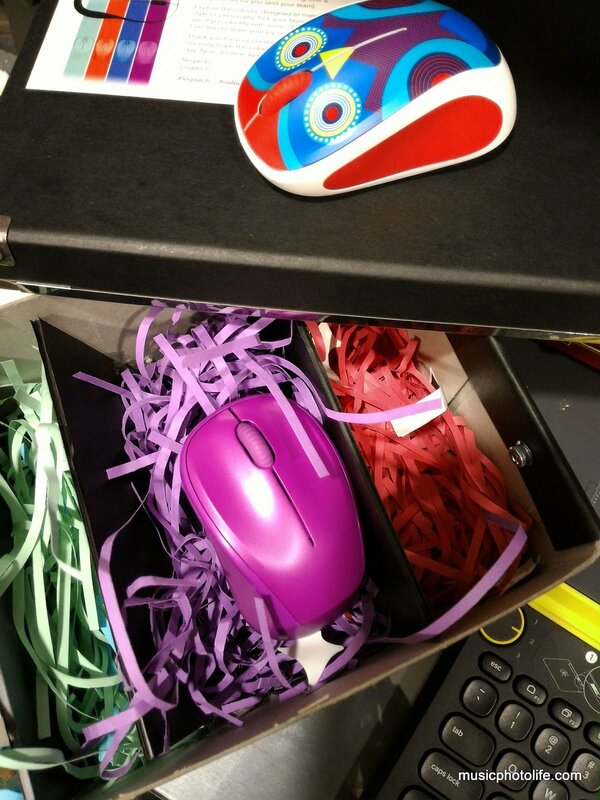 Congrats to blackxxxxx@yahoo.xxxx for winning the one-of-a-kind customised media kit M238 mouse! When I informed Logitech about my contest giveaway, they immediately sent me another unit, because they really want me to have the M238 for my own personal enjoyment. I am surprised at their gesture, so for that, I have opened up this new Ophelia Owl design to use it. Sorry, can’t give that away! The M238 uses the exact mould as other M23x series, and its colourful designs are eye-catchers. I was browsing at the IT section of Popular Bookstore and when a young shopper came looking for a mouse, she went for the new M238 Play Collection series. It helps when Logitech is a reliable brand and the mice are affordably priced. I was digging through my tech vault and found that I still have one spare M235 “Daring Diva” magenta mouse from last year’s 4-piece media kit. So I’m also going to give it away! This time round, I will choose a winner from the list of comments left on this article to tell me why you would like the M235 mouse. See the advantage of subscribing? You will receive this contest before anyone else and get a higher chance to win. Another giveaway! This time, it’s M235, the one in purple-magenta colour. This new contest will end on 30 June 2015 and the winner will receive the mouse shipped to you anywhere in Singapore via registered mail. It does not come mint with original packaging because the media kit comes pre-opened. Thank you for supporting my blog, where I share opinions based on actual field tests. Because true reviews are formed outside product events and showrooms. Need to replace my dying wireless mouse which is sapping up batteries faster than I would like. Helps that it’s in my favourite colour too! Have been looking for one for my daughter. Criteria aren’t too tough: Wireless, simple to use and “fucia pink”!!! For goodness sake where can I get a fucia pink mouse? I have to win this, for her! Pingback: Music.Photo.Tech.Digest: 12 July 2015 - Music.Photo.Life.